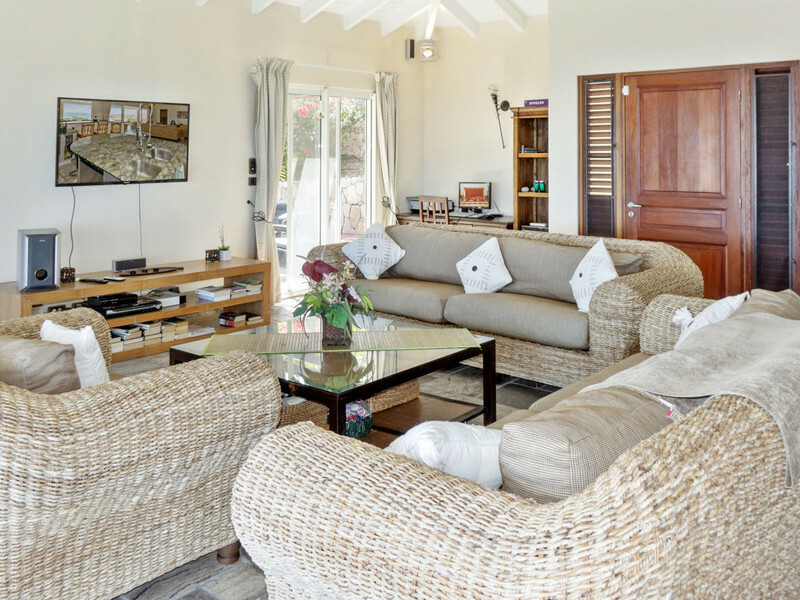 The villa has a spacious open concept living room with high ceilings and extra wide sliding doors that open onto the covered terrace, pool area and the stunning views to one side, and the patio and lounge area to the rear, on the other side of the room. 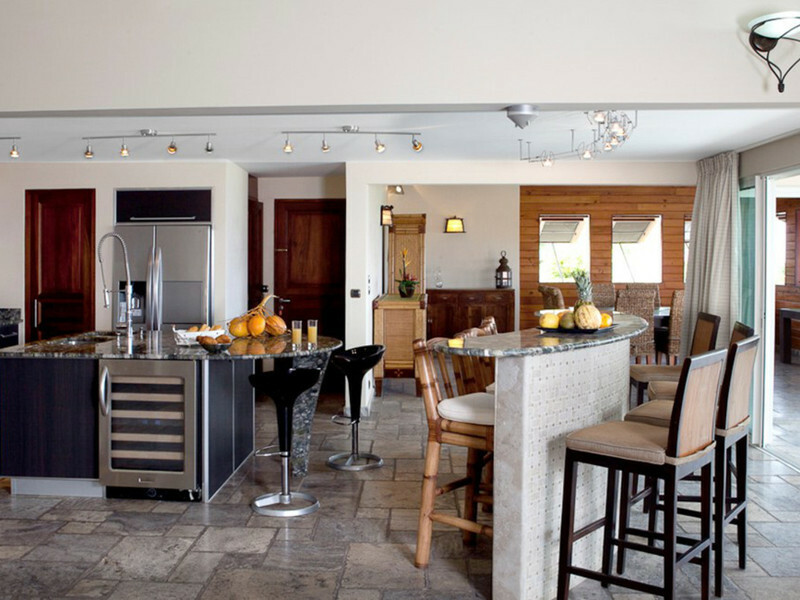 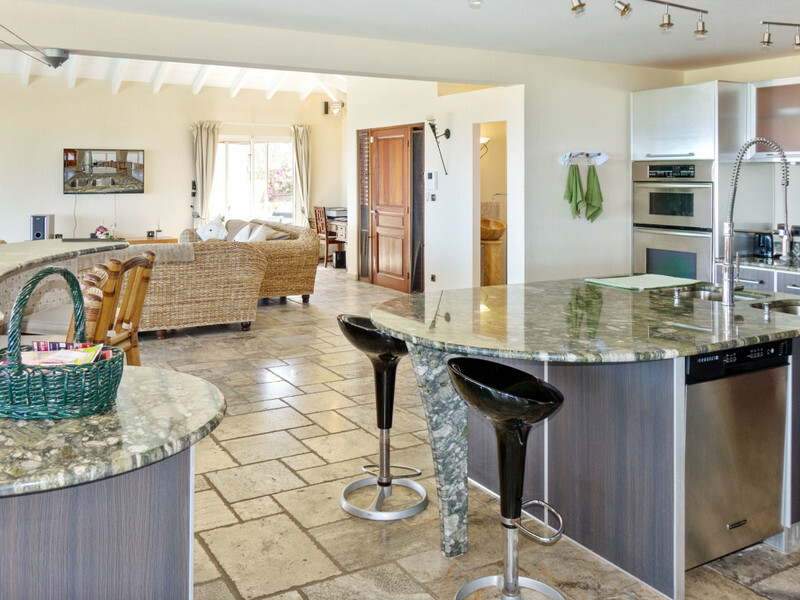 The modern gourmet kitchen with marble countertops and breakfast bar adjoins the living room. 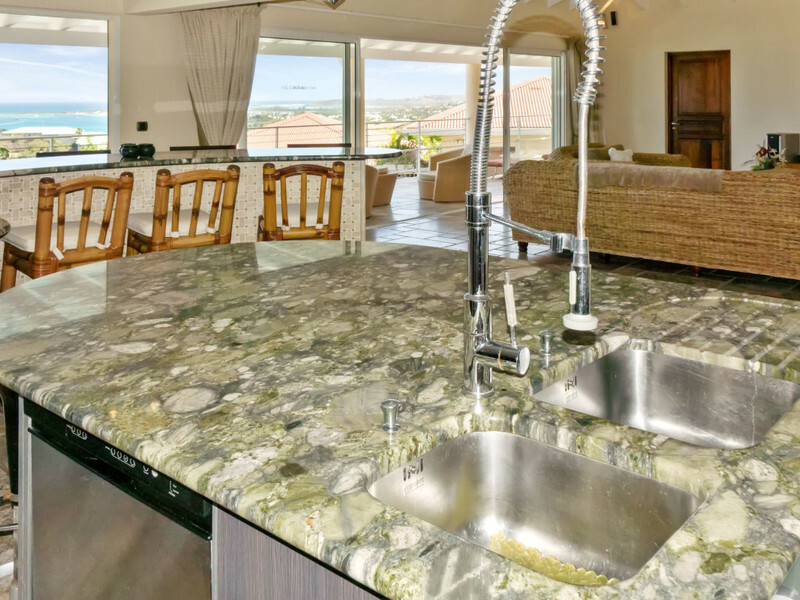 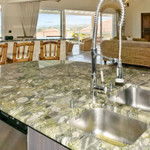 The kitchen is fully equipped and includes cook top, oven, large refrigerator, dishwasher, microwave, hot plates, wine cooler, smoke ventilator as well as smaller appliances such as coffee maker, juicer, blender, crockery and a beautiful bar with marble countertops. 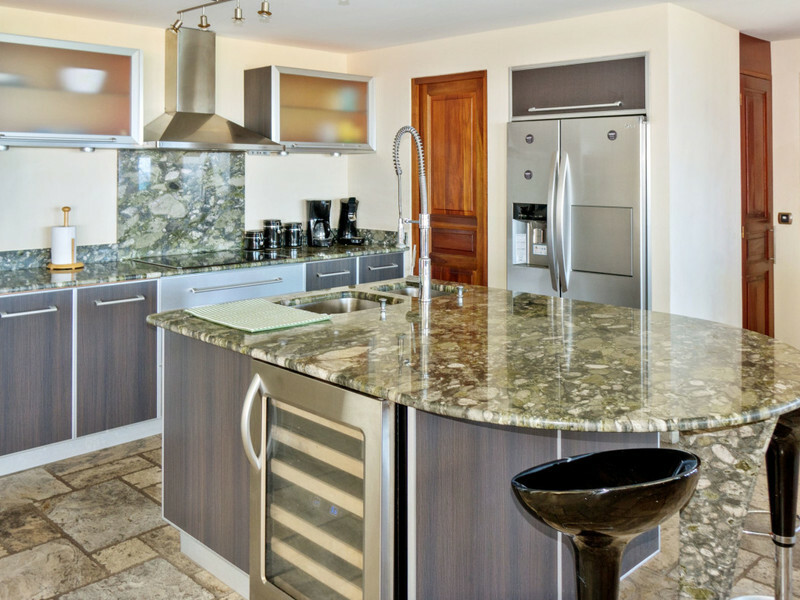 Next to the kitchen is a small storage room so that you may store your items you'll bring in during your vacation at Shark Villa. 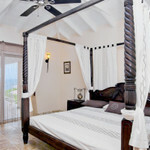 The finely decorated master bedroom provides a private dressing room and en-suite bathroom with double bowl sinks and a West Indies shower done in natural stone.This bedroom features great views, air conditioning, spacious closet, flat screen TV with US and French channels, Wi-Fi Internet access, safety deposit box, refrigerator (minibar), mosquito nets and large fan. 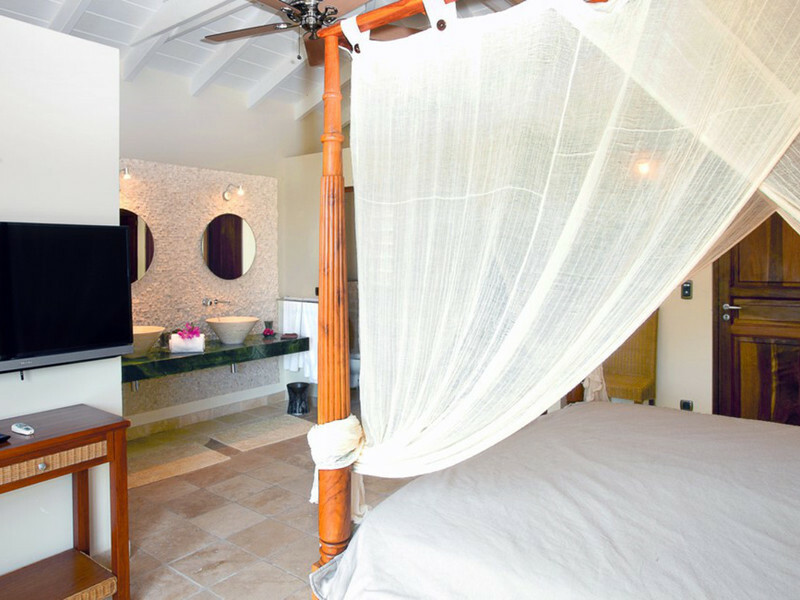 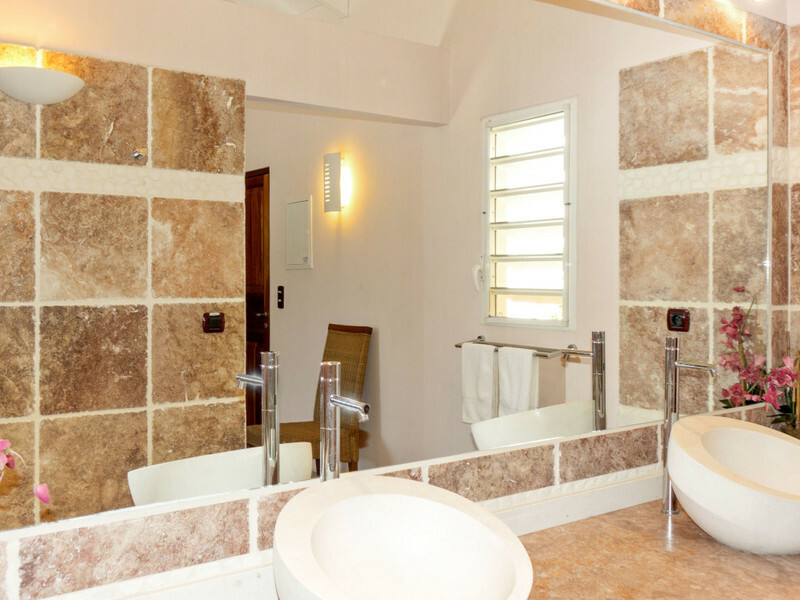 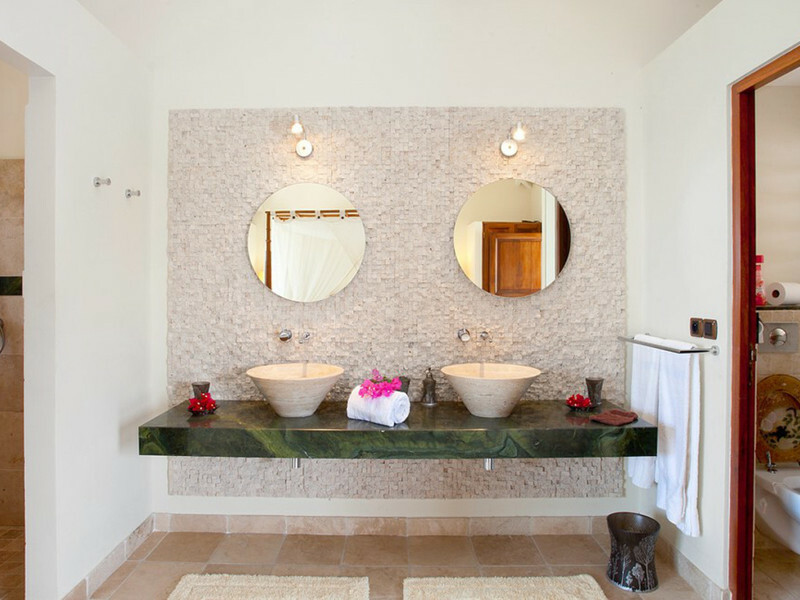 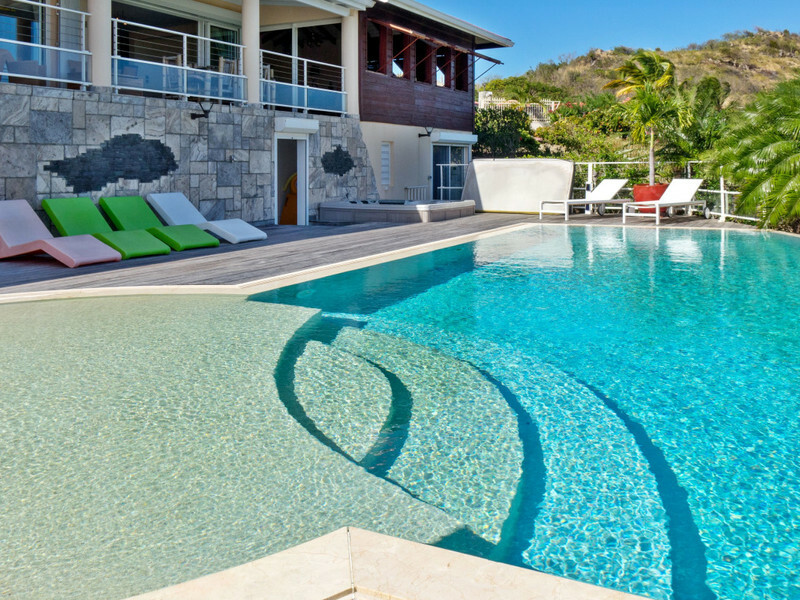 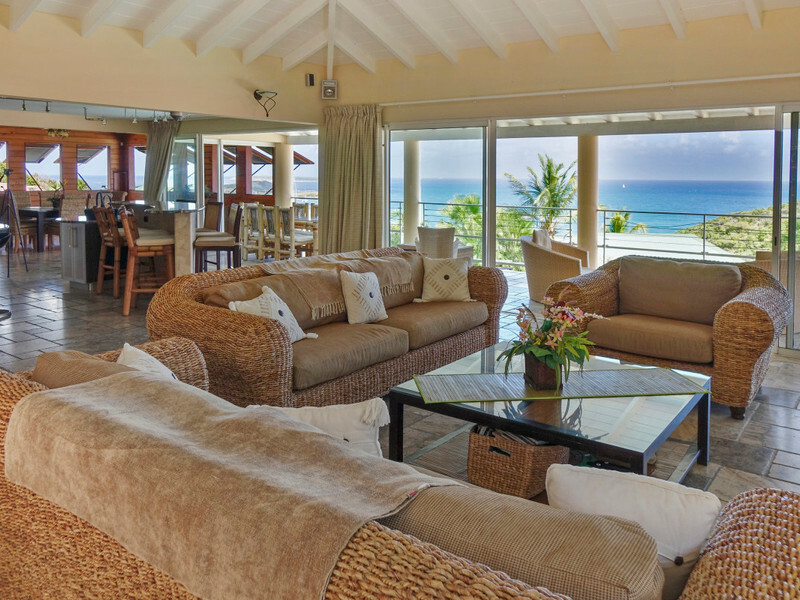 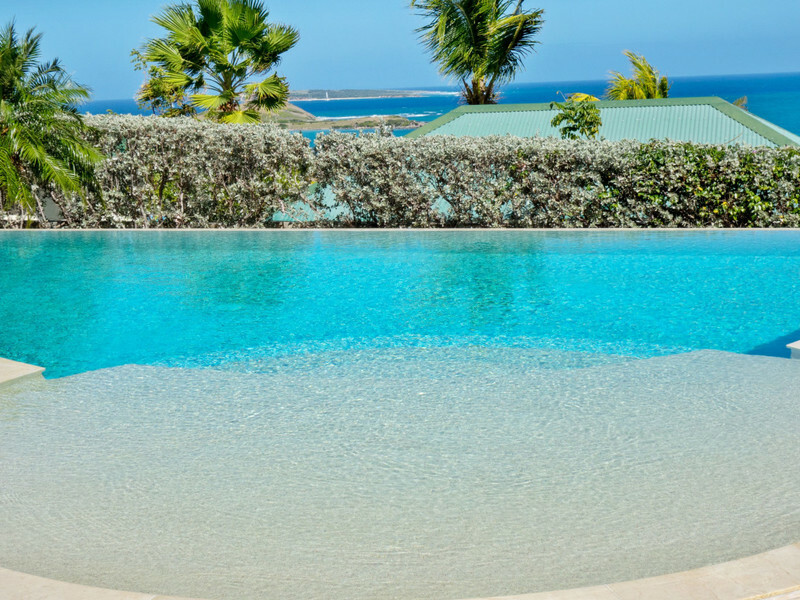 Experience the full privacy of this spacious, stylish villa with a large private pool, deck and Jacuzzi with spectacular views of Orient Bay and the nearby islands. 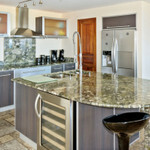 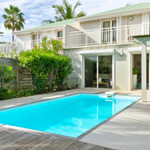 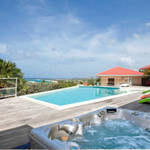 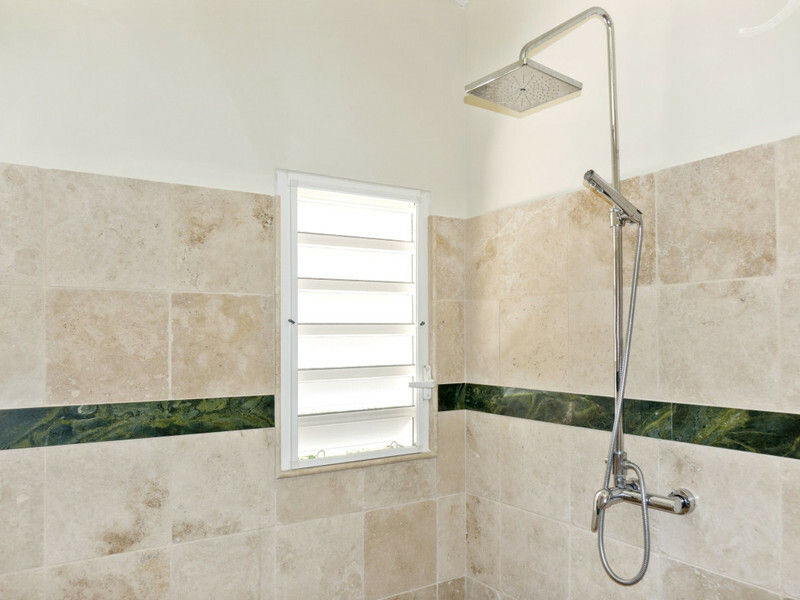 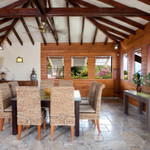 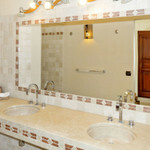 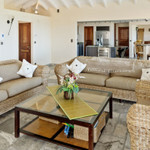 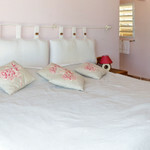 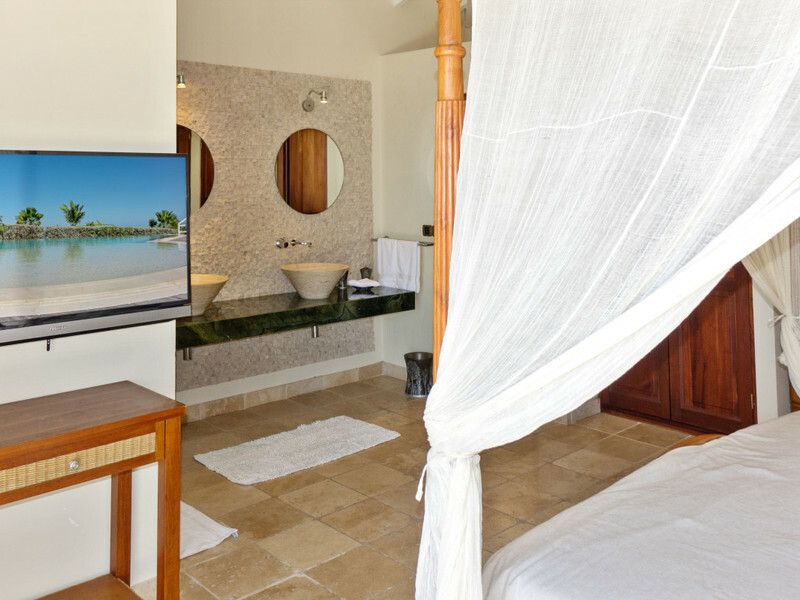 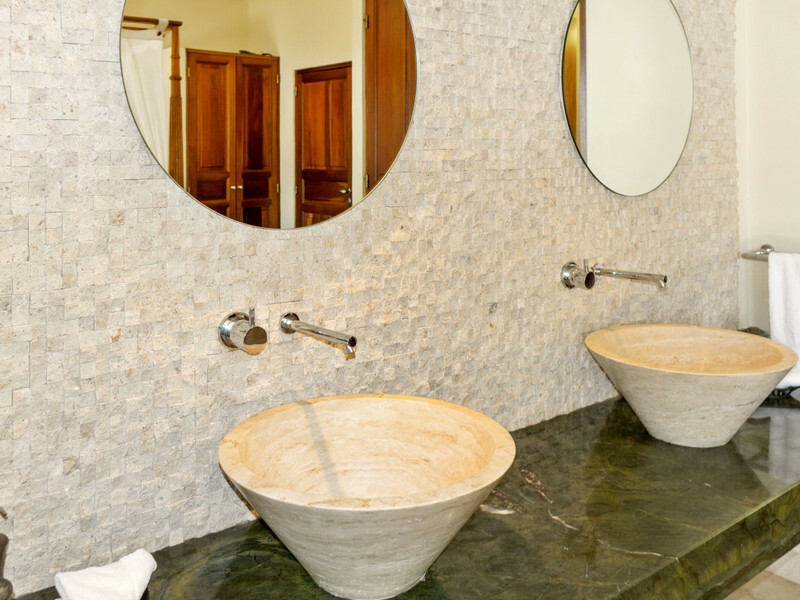 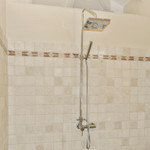 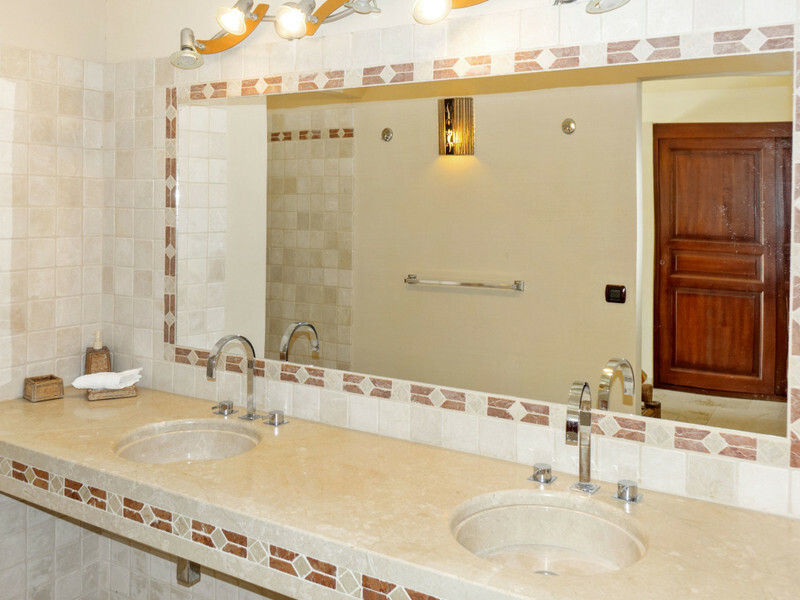 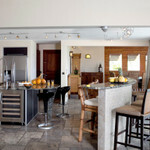 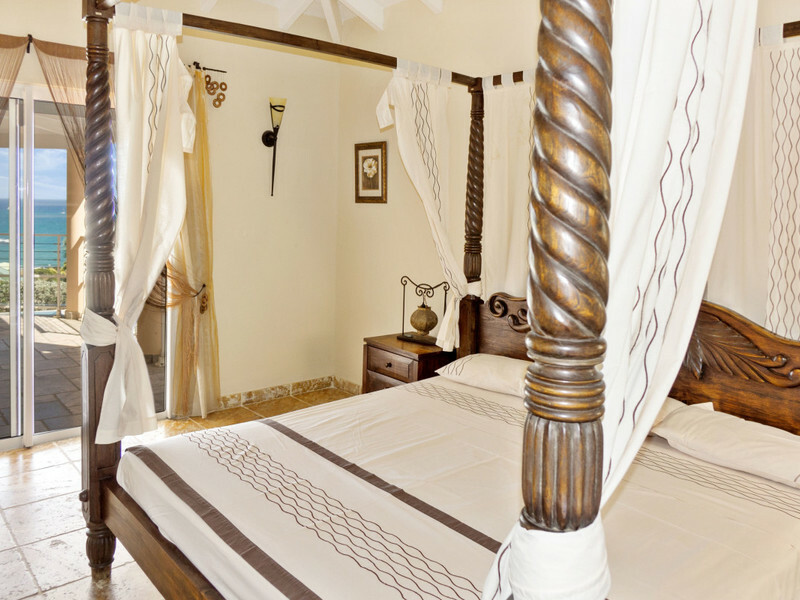 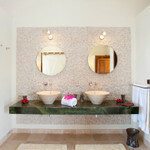 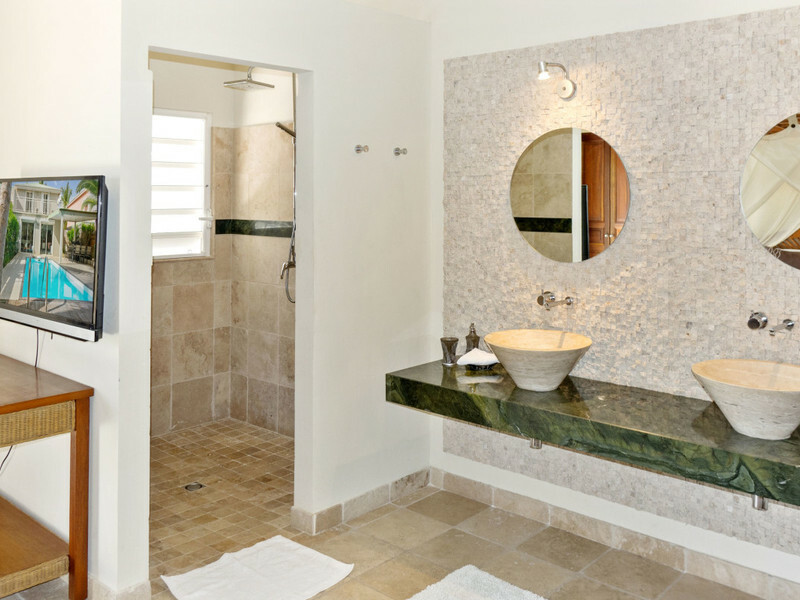 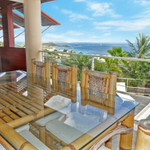 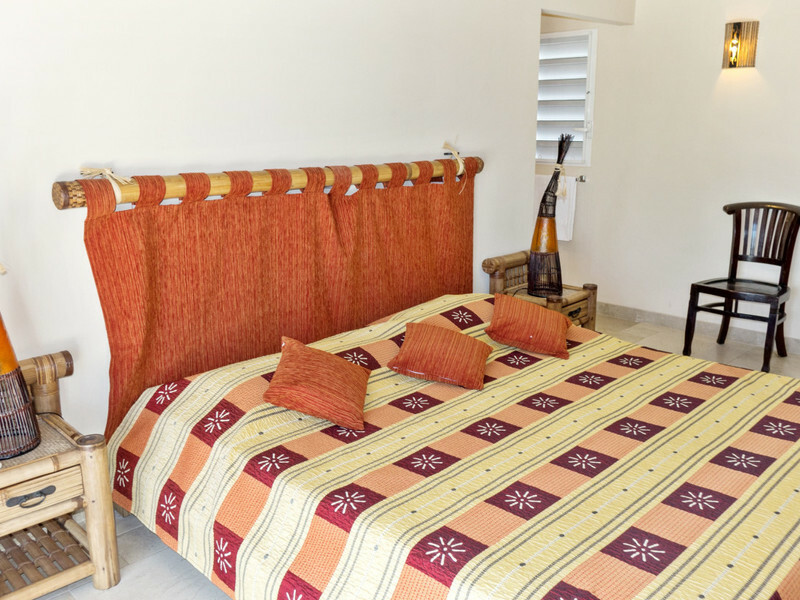 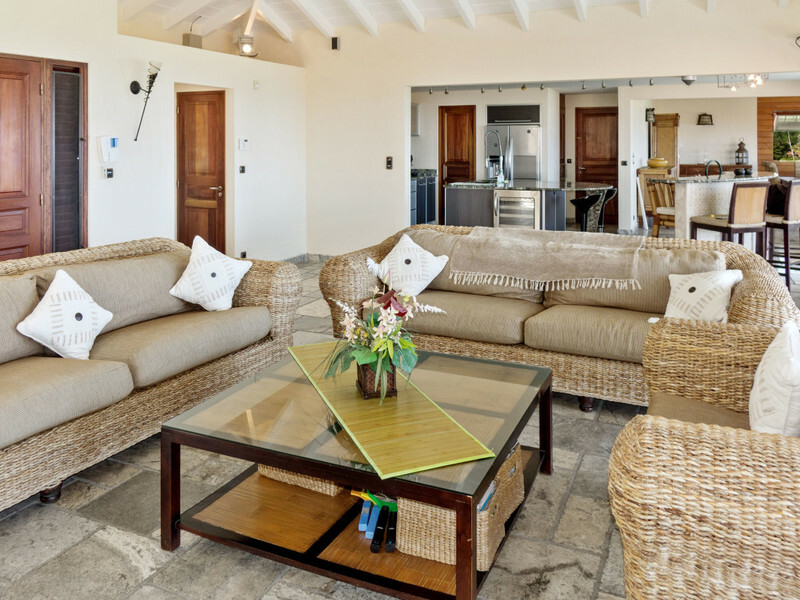 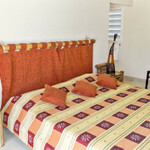 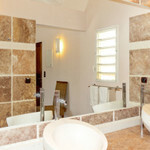 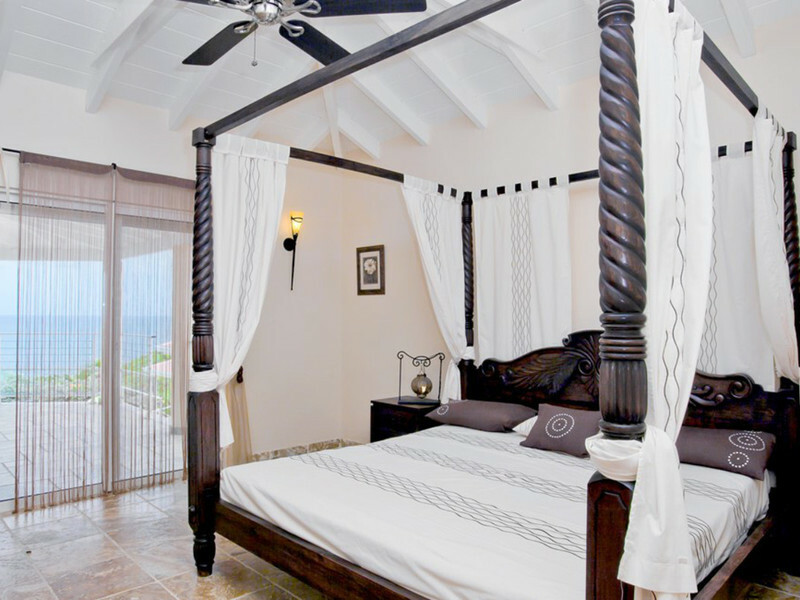 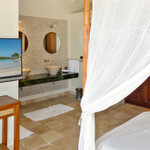 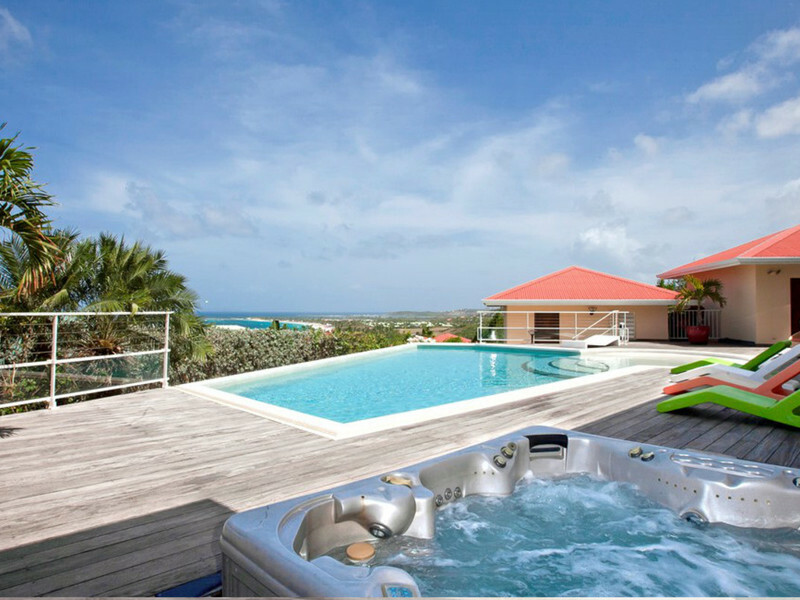 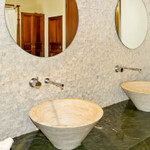 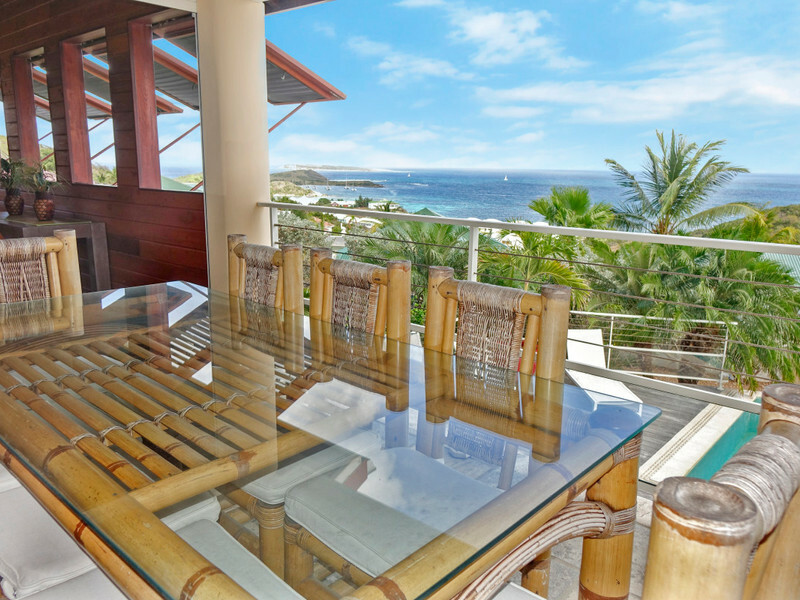 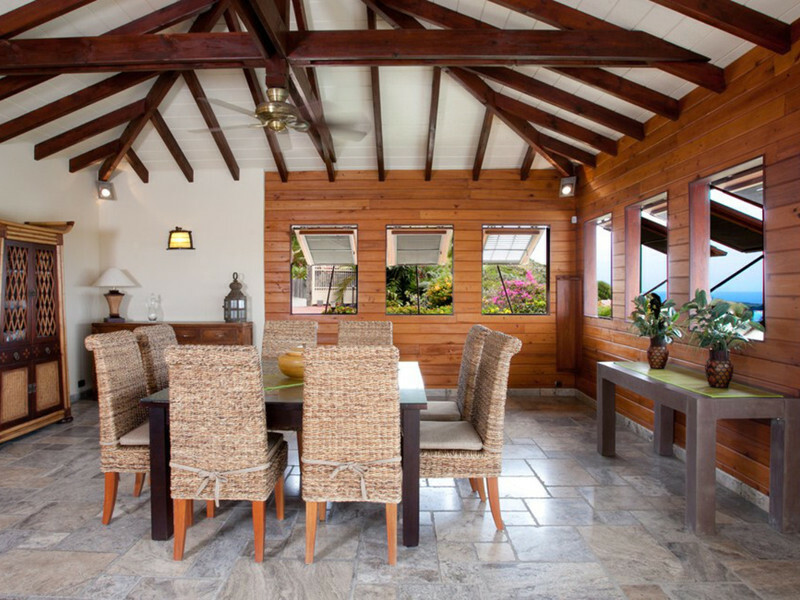 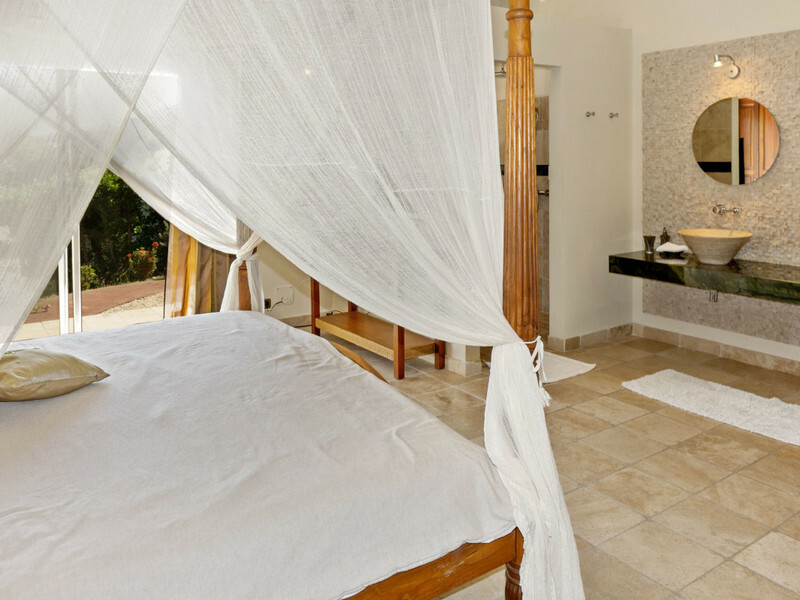 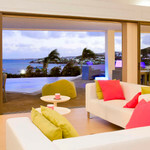 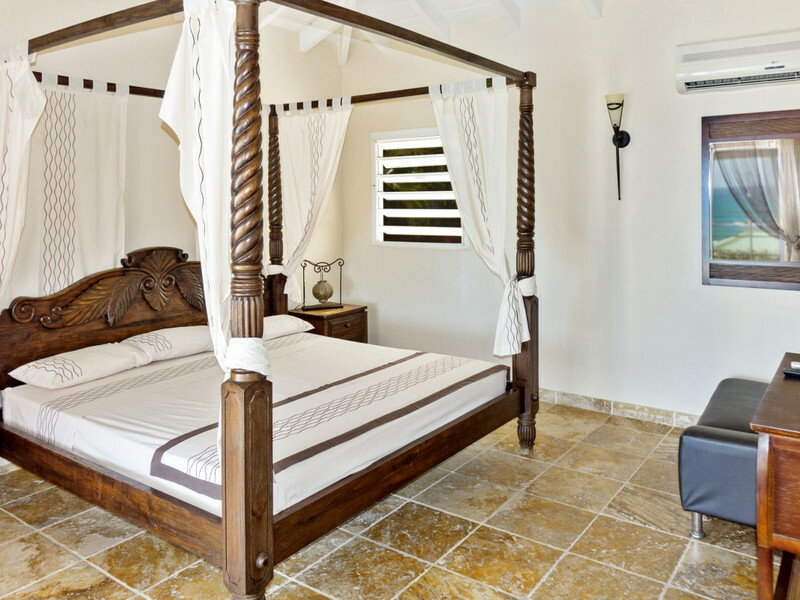 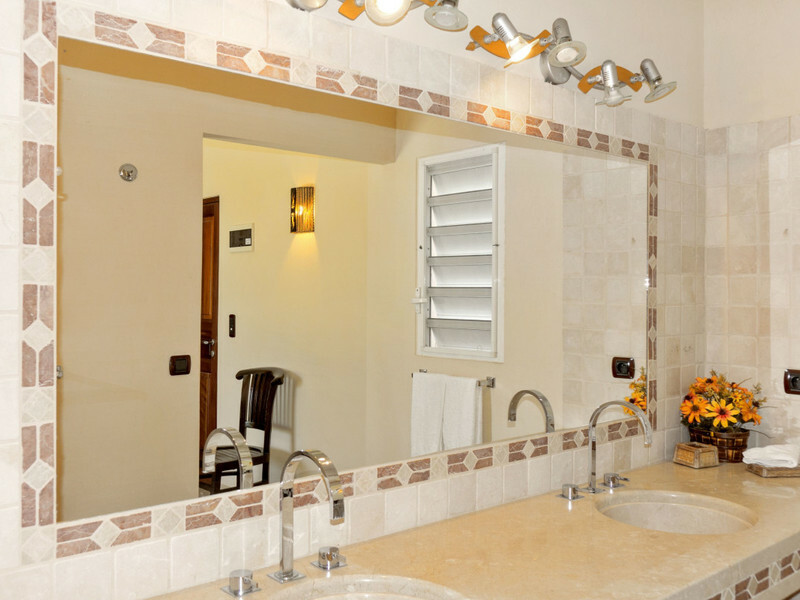 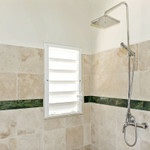 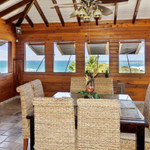 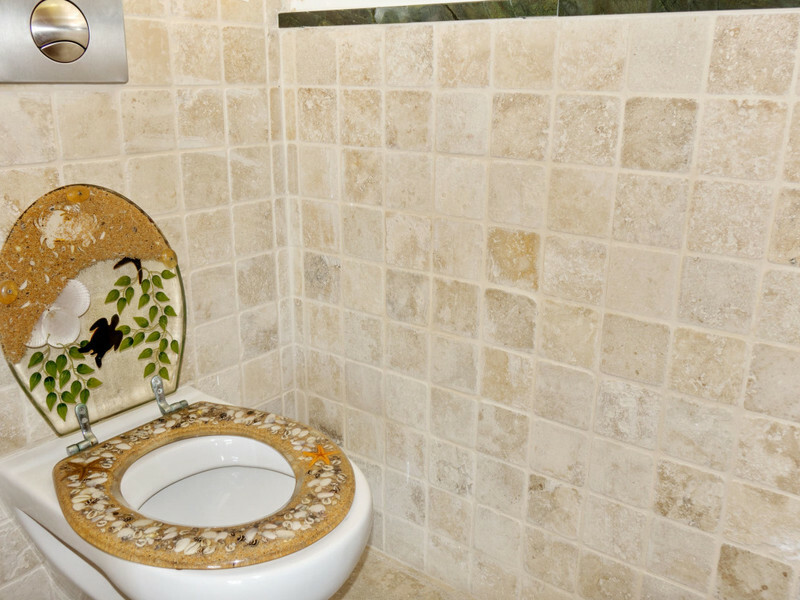 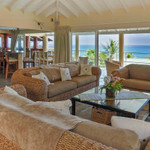 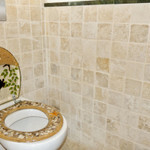 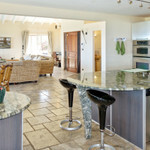 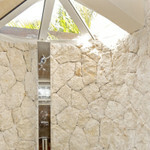 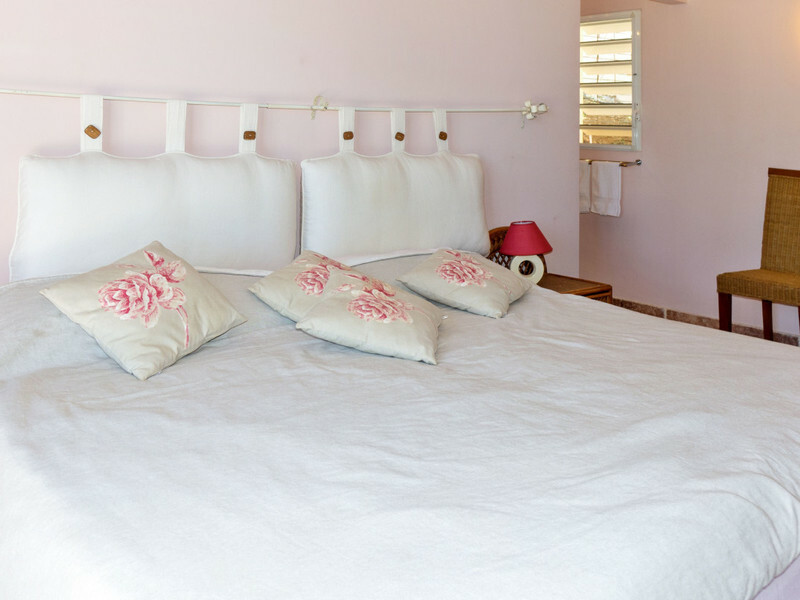 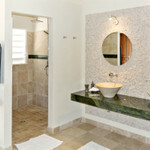 It is conveniently located just a few minutes' drive away from Orient Bay and Grande Case. 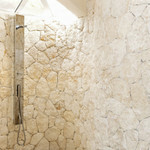 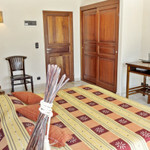 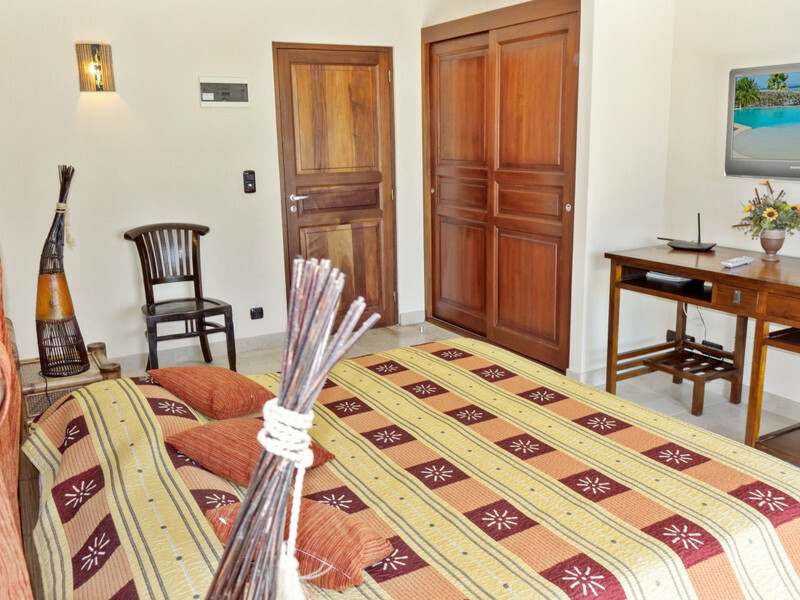 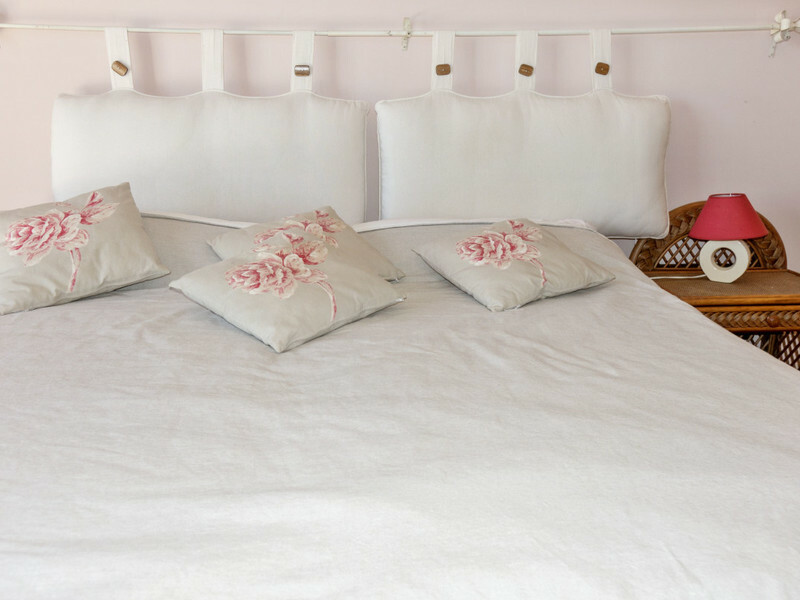 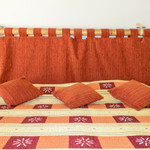 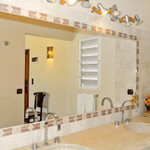 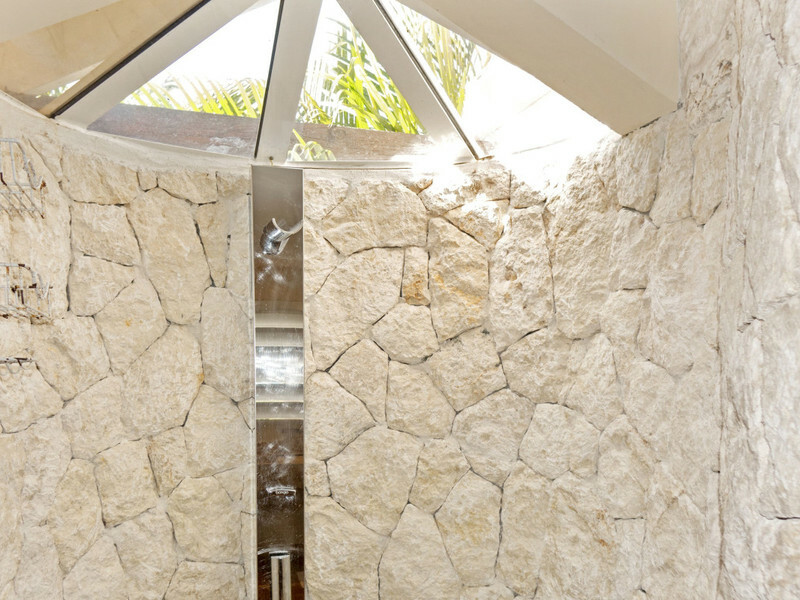 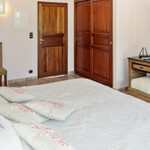 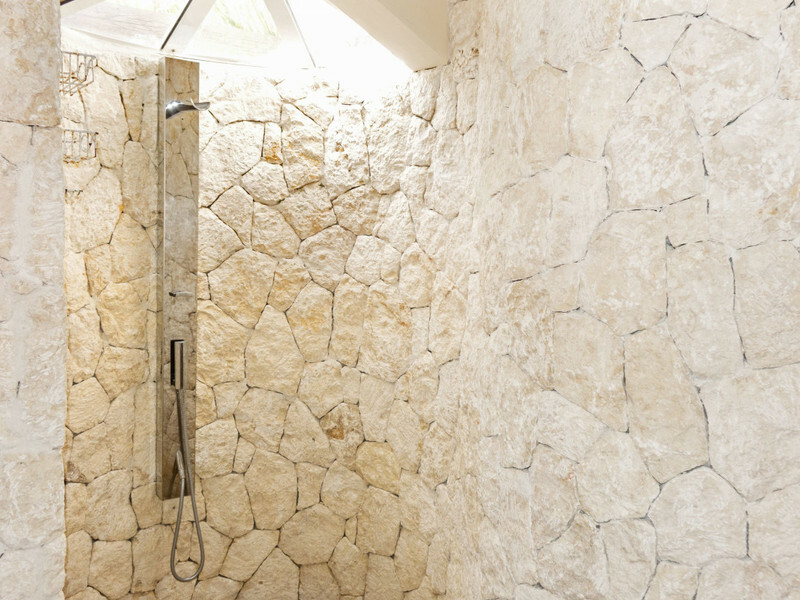 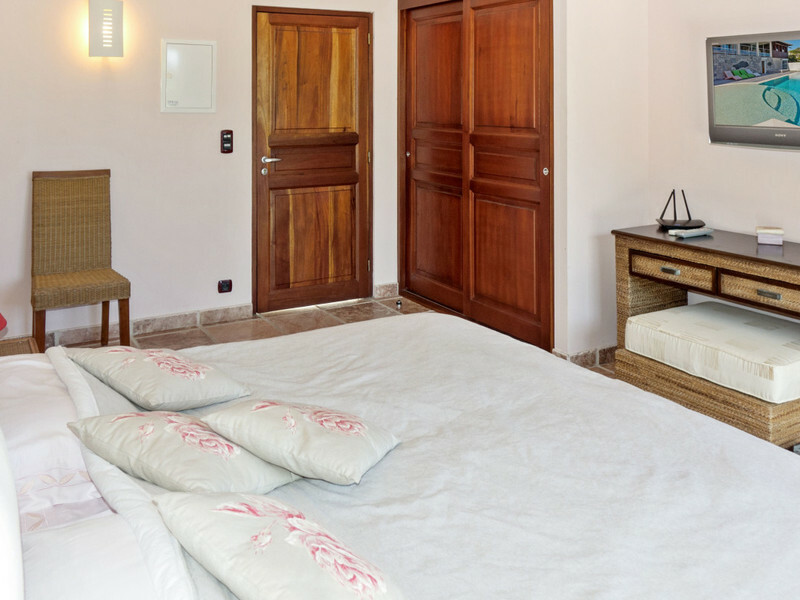 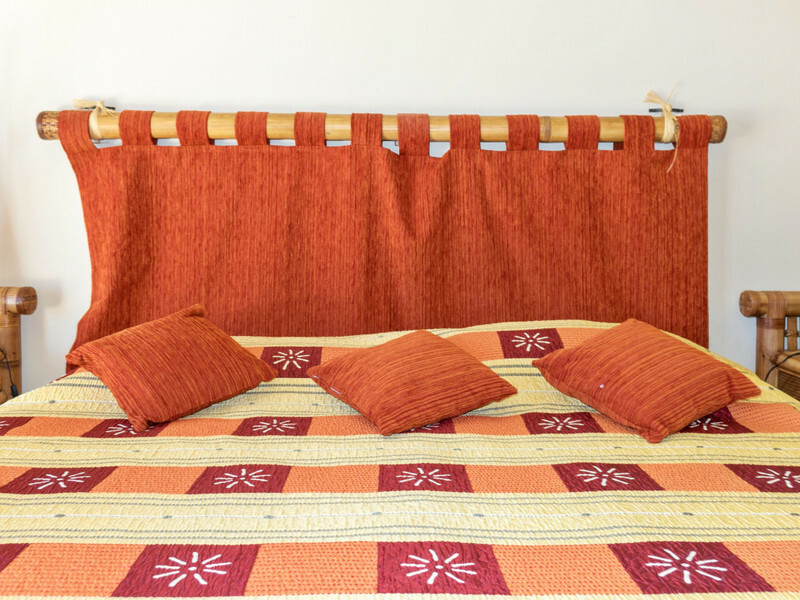 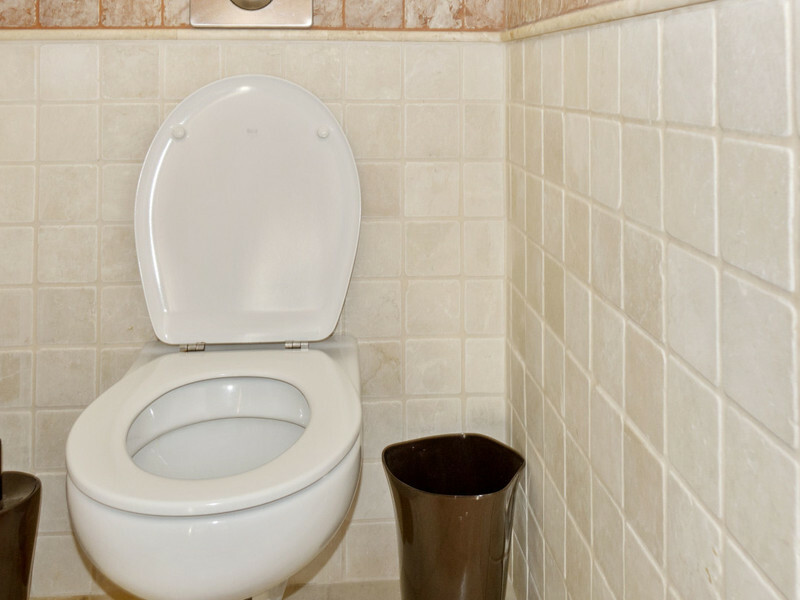 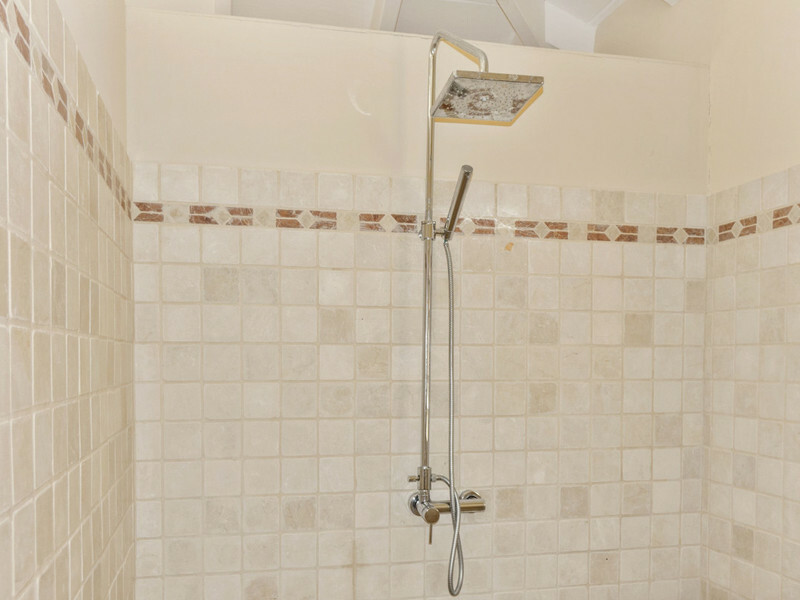 A discreet caretaker is nearby, in case you need any assistance during your stay at Villa Shark. 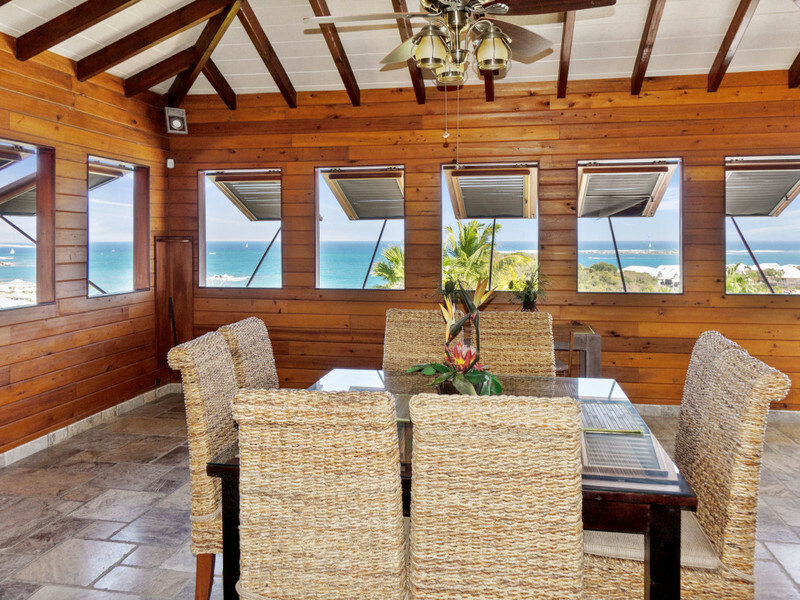 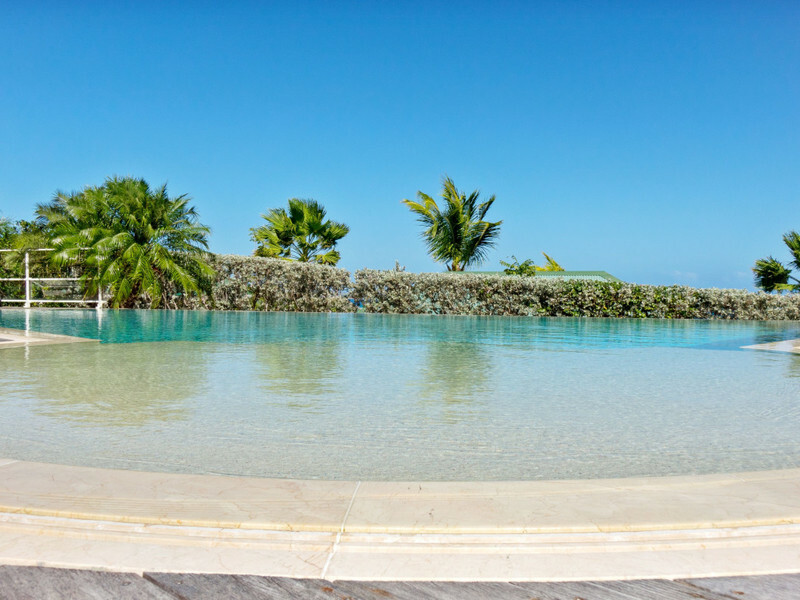 Tennis courts, horse-back riding, surfing, sailing, snorkeling, jet-skiing, first class French restaurants, pizzeria and patisserie are all within 5 minutes drive away at Orient Beach. 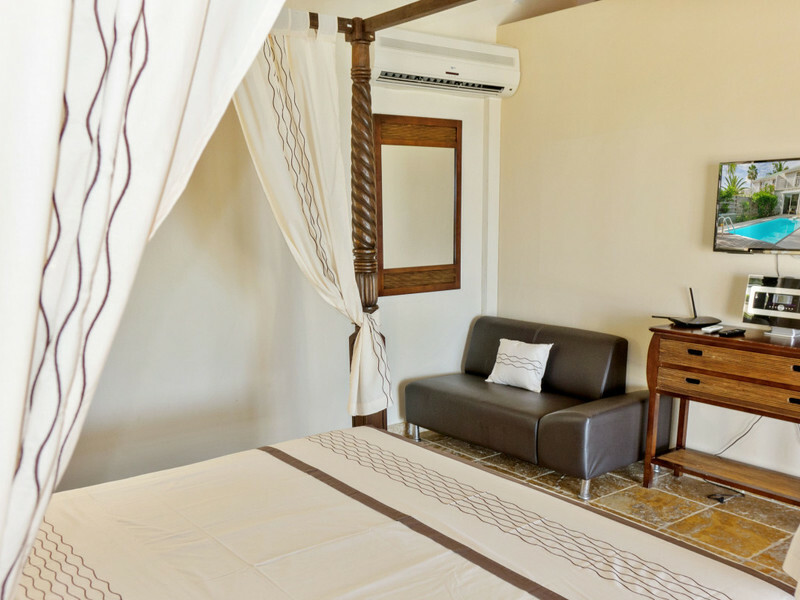 Eden View is just 5 minutes from the village of Grand Case, the dining capital of the Caribbean, and only 10 minutes to the French Capital of Marigot, with its chic boutiques and bistros.